Since healing, learning the true cause of my illness, and having the time to reflect on it and all the heartache that I’ve been through, I have to tell you that I’m a little pissed off. I’m pissed at the industries for seeking profit at the expense of human life, and for putting the industrial toxins into our environments and bodies in the first place. I’m pissed at the people who are invested in the profit-driven information and aren’t brave enough to seek the truth. I’m pissed that I don’t have the reach or the finesse to touch everyone who is suffering and take them by the hand and give them this life-saving information, and show them that they can heal too. 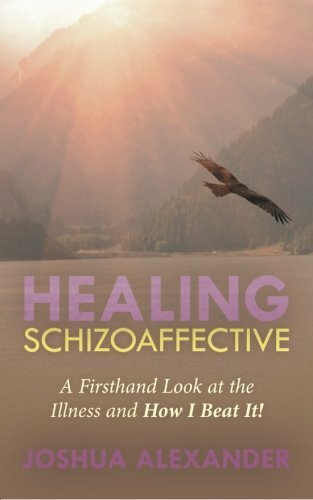 The truth is that I have fully healed from schizoaffective disorder. My grandmother had schizophrenia, and I can tell you that it’s NOT genetic. It’s caused by heavy metals and other industrial toxins in our brains and livers, such as DDT, which can be inherited and passed down the family line at conception and in the womb. The heads of industries tell us that it’s genetic because it keeps us sick, dependent on medication, and it gives them more funding for studying genes. The people who work in the industries, and the doctors, don’t know better. They mean well, but they just believe what they’ve been taught. They are victims of the profit-driven system as much as we are. I have fully healed and so can you! You don’t have to suffer like I did. You don’t have to lose ten years of your life like I did. Are you having your straight celery juice on an empty stomach every morning to help ground and rebuild your neurotransmitter chemicals? Are you doing the heavy metal detox smoothie every morning to gently and safely pull the toxins out of your body? I understand that finances and other life stressors can make it difficult. We’ve got to do whatever we can with the resources that we have. Every little bit helps. Just take one step at a time, do a little bit every day, and keep moving forward. I’m doing it with you, and I believe in you. ← 5 Years Healed Today!! !